I'm the ESGI Elf for Giveaway Day Four! How to enter: We're already on day four, but you already still have plenty of chances because giveaways continue until December 12th. 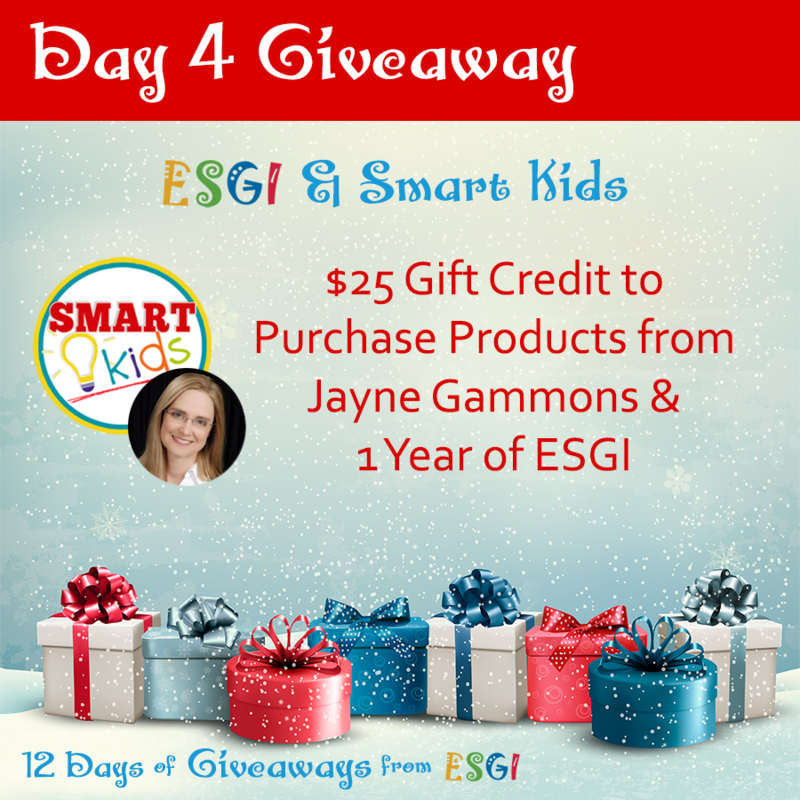 Each day ESGI will be awarding a $25 credit to the prize partner of the day's store and a FREE 1 year subscription of ESGI. On the 12th and final day, you can win a sleigh full of ESGI subscriptions (up to 10) and some great products from Dr. Jean!